A collection of stories by some of the better known animators in Japan (at the time anyway). Each story is distinct and separate but keeps to the theme that the central focus be on robots. Some are rather simple with hardly a word spoken, like Deprive - where an android must save a girl from some mysterious alien invader. Other segments are much more philosophical - such as Presence - where a man constructs a robot girl in secrecy, and witnesses his own creation come to life; only do discover he cannot handle how lifelike she has actually become. An interesting collection of robot tales with superb animation. From a personal perspective I guess this review is actually sort of interesting to me. You see my first experience of anime and knowing what it was called was a feature of three titles. Robot Carnival was one of them. If you remember my old review section from years ago, you probably recall that I didn't recall much about it aside from the fact that I didn't like it. 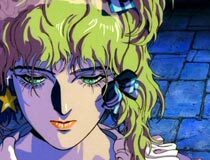 Actually what I came out of my first anime experience with was the fact that I didn't like two of the titles I saw, but Vampire Hunter D was the most awesome thing ever. So it's been a log long time and I decided to watch it again. Now that I've spent years watching anime. Now that I've been to anime cons. 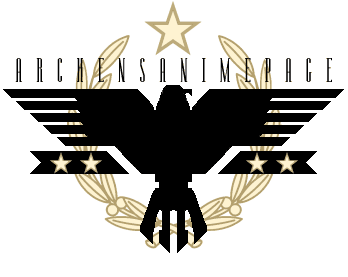 Now that I've spent years working on my web page dedicated towards anime. You can see that my opinions are on completely opposite sides as far as experience with anime goes. My verdict? 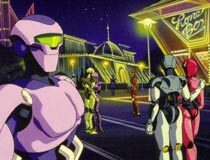 Robot Carnival is actually pretty good, but I think it requires you being in the right mood to appreciate. So lets get a rundown of the titles. Please excuse the nostalgic commentary. Opening - This is probably the most interesting opening I've ever really watched. It starts out with some kid trying to warn a village who don't really seem concerned until the title "Robot Carnival" rolls in... literally on tank tracks and bigger than some cities. It's a jamboree of with a fantastic performance by robots, featuring lively fireworks, a light show, and explosions everywhere. Franken's Gears - A take on the Frankenstein theme. Where a scientist manages to animate a robot, and discovers some of the pitfalls of having his giant creation imitate him. Presence - A man creates a robot girl in secret away from his family. One day she becomes animated only she seems far to real to be a simple machine. Indeed she expresses emotion and the desire to love. Her creator finds he cannot handle how real she has become and ends up smashing her in a panic. But years later she haunts him still..
Starlight Angel - A girl finds her friend making out with her man. 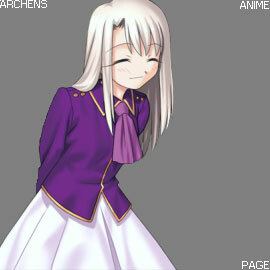 Needless to say she's rather mad, and decides to find diversion in an amusement park. Only to be pestered by a robot who looks like her former boyfriend. A Tale of Two Robots - Probably set around the 1800's some time, a mad scientist has decided to invade Japan with his giant electrically powered machine. And who can stop him? A band of eccentric friends with their own wooden creation. - Funny thing about this one. It was my favorite years ago in this series because I had seen nothing like it. I figured that after years of being a hardened anime fan this segment would bore me, but I actually enjoyed it just as much. Nightmare - As Tokyo sleeps, the city comes alive as robots take control. Only a bum is awake to witness it all. 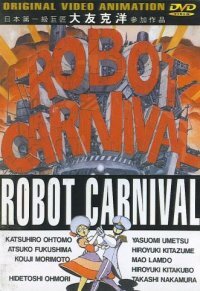 So if you're looking for something different, and in the sci-fi vein; Robot Carnival is probably a good title to check out. Folkeson: I give you, just 3 seconds. 3..2..1..
Kenji: What did he say?